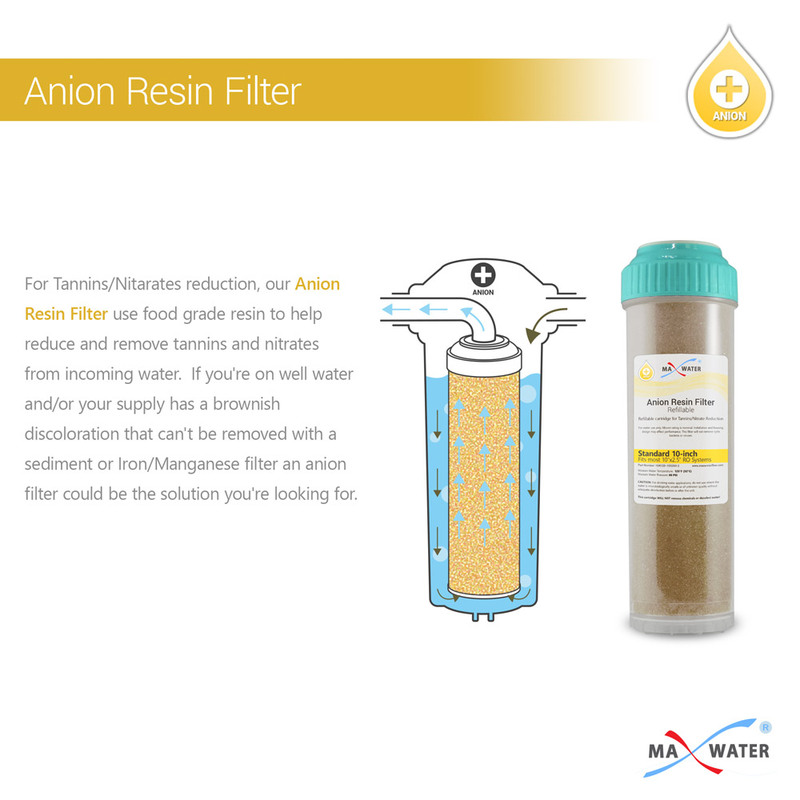 Food grade strong base anion resin to help reduce and remove tannins and nitrates from incoming water. 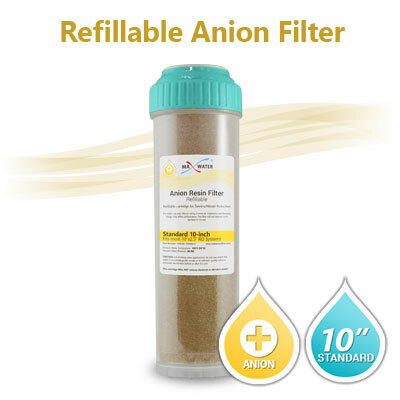 If you're on well water and/or your supply has a brownish discoloration that can't be removed with a sediment or Iron/Manganese filter an anion filter could be the solution you're looking for. Tannins are astringent, bitter-tasting plant polyphenols that bind and precipitate proteins. The term tannin usually refers to the source of tannins used in tanning animal hides into leather. However, in this case we are referring to the brown discoloration in water, often caused by decaying organic matter. Tannins in well waters form from humic acid, a complex mixture of many different acids containing carboxyl and phenolate groups produced by biodegradation of dead organic matter. Tannins can also be found in peat, coal, many upland streams and ocean water. Tannin molecules tend to form anions in water above pH 6 and can be treated with anion exchange resins, below pH 5 tannins are better treated with activated carbon. Nitrates are chemical salts most often used in fertilizers, but can also occur naturally in mineral deposits. Exposure to nitrates can have long term health effects including kidney damage and some types of cancer, exposure for infants can be particularly dangerous and can lead to serious health conditions including methemoglobinemia. Generally fertilizers are broken down by plants as the use the material to grow, but residue and run-off from agriculture getting into the local water table is the main source nitrates in water. 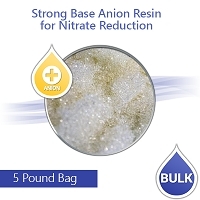 This exchange anion is intended for use in all types of de-ionizating water filtration systems as well as chemical processing and scientific applications, including the production of ultra pure water, organic substance separation, antibiotic medicine refine, biochemical product separation and extraction. For water purification, wastewater treatment, biological products and hydrometallurgy of tungsten, molybdenum extraction. Water softening, desalination of water preparation, preparation of pure water and high water. Amino acid extraction and purification, extraction and purification of antibiotics. Extraction and removal of heavy metal ions, separation and purification of rare earth elements, and organic synthesis reactions, as hydrolysis of the acid esterification catalyst.